Dr. David B. Zoogah, Associate Professor of Management at the Williams College of Business, Xavier University, Cincinnati, Ohio, USA. His research is at the meso level which combines micro and macro issues related to employee development, team development, and organizational development as they pertain to competencies, strategies, and resources respectively. His current areas are strategic followership and corporate environmental sustainability, and Africa-centered management. 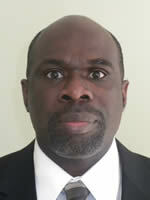 He has published in several journals including His research has been published in several internationally-recognized journals including the Academy of Management Perspectives, Journal of Applied Psychology, Human Resources Management, Asia Pacific Journal of Management, International Journal of Cross-Cultural Management, Journal of Occupational and Industrial Psychology, International Journal of Human Resources Management, and Africa Journal of African Management (AJOM). He has also presented conference papers at The Academy of Management, Society for Industrial and Organizational Psychology, and the Africa Academy of Management of which he is Secretary. He has reviewed for Leadership Quarterly and the Academy of Management Perspectives among other journals. In addition to book chapters on Africa-centered Management and corporate environmental sustainability he has authored Strategic Followership: How Employees Contribute to Organizational Productivity, edited a book on Advancing Research Methodology in the African Context: Techniques, Methods, and Designs (Volume 10 of Research Methodology in Strategy and Management Series), and co-authored a textbook, Managing Organizational Behavior in the African Context. He is a co-winner of the strategic doing award of the Academy of Management in 2012, and the Outstanding Author Contribution (2015) of Emerald’s Literati Network Awards for Excellence. He has also won the Best Paper from the Gender, Diversity and Organization (GDO), and Outstanding Reviewer for the OB Division of the Academy of Management. 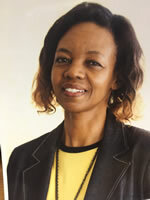 Professor Stella M. Nkomo holds the position of Past President of AFAM. She served as its founding President from 2010. Professor Nkomo is a Strategic Professor in the Department of Human Resource Management at the University of Pretoria. She holds a Ph. D. in Business Administration from the University of Massachusetts (USA) and an MBA from the University of Rhode Island. Her internationally acclaimed research on race and gender in organizations, leadership, human resource management and managing diversity appears in numerous journals. Her critically acclaimed book, Our Separate Ways: Black and White Women and the Struggle for Professional Identity was published by Harvard Business School Press. She is co-author the recently published, Courageous Conversations: A Collection of Interviews and Reflections on Responsible Leadership by South African Captains of Industry. She is National Research Foundation A-rated researcher and elected member of the Academy of Science of South Africa. Professor Nkomo has received numerous awards. She received the 2009 Sage Scholarly Contributions Award (Academy of Management) her contributions to gender and diversity research in organizations. Mostly recently, she is the recipient of the National Research Foundation Champion of Research Capacity Award (South Africa), the CEO Magazine Lifetime Achievement Award for her contributions to higher education, and an International Leadership Association Lifetime Achievement Award (2017). Dr. Moses Acquaah is Professor and Head of the Department of Management at the University of North Carolina at Greensboro, USA. 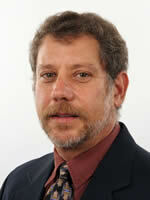 His current research focuses on strategic management, entrepreneurship, and family businesses in emerging economies. His research has been published in several internationally recognized journals including the Strategic Management Journal, Human Relations, Journal of Business Research, Journal of International Management, Strategic Organization, International Journal of Production Economics, International Journal of Production Research, and Africa Journal of Management. He serves on the editorial review boards of several journals including the Africa Journal of Management, Journal of African Business, South African Journal of Human Resource Management, and Journal of Education for Business. He served as the Academy of Management’s Business Policy and Strategy Division’s Global Representative for Africa from 2011-2013, and an executive member of the International Academy of African Business and Development (IAABD). His recent book, Family Businesses in sub-Saharan Africa: Behavioral and Strategic Perspectives was published by Palgrave McMillan in 2016. His work has won competitive research grants from organizations such as the Marion Ewing Kauffman Foundation, USA; the Family Owned Business Institute (FOBI), USA; Emerald Publishing Group, U.K.; and the Network for Business Sustainability South Africa (NBS:SA). Dr. Acquaah has previously been involved in the monitoring and evaluation of micro-projects for the European Union and the World Bank in Ghana. 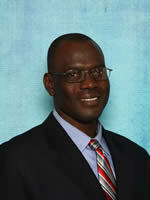 Dr. Kwesiga had extensive experience in corporate America before going into Academia. She worked for Companies such as Sherwin-Williams, Progressive Insurance, Lincoln Electric and General Electric. In these organizations she worked on multi-million dollar projects implementing and overseeing installation of ERP (Enterprise Resource Planning) software such as SAP, BAAN, & SmartStream. She has worked as an accountant, software analyst and as a manager. Currently she is involved in Leadership, Human Resources and Diversity consulting ventures in multiple African regions. Her current research interests include cross-cultural issues, experiences and outcomes of non-dominant groups in organizations and appears in Journal of Vocational Behavior, Journal of Managerial Psychology, Journal of Interpersonal Violence, Employee Rights and Responsibilities Journal among others. Benson Honig (Ph.D. Stanford University) is the Teresa Cascioli Chair in Entrepreneurial Leadership, DeGroote School of Business, McMaster University. Studying entrepreneurship worldwide, his research includes over 80 books and articles covering business planning, nascent entrepreneurship, transnational entrepreneurship, social entrepreneurship, social capital, professional ethics, and entrepreneurship in environments of transition. Dr. Honig is the co- winner of the Grief award for highest five year impact article in entrepreneurship in 2009, as well as the most cited paper for JBV; 2003- 2009. He is a former decision editor for ET&P, serves on eight editorial boards, including JBV, JMS, AMLE, AMP, ET&P and SEJ, and is the past president of the Canadian Counsel of Small Business and Entrepreneurship and past chair of the Academy of Management Ethics Education Committee. Dr. Honig has extensive experience living, working, and researching in both urban and rural African environments, including 15 African countries. 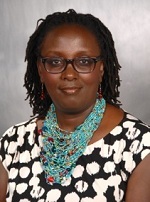 Faith Ngunjiri is the Director of the Lorentzsen Center for Faith and Work, and a tenured Associate Professor of Ethics and Leadership at the Offutt School of Business at Concordia College. Faith’s research focuses on leadership at the intersections of gender, race/ethnicity, spirituality, nationality, and the various roles that women play, as well as on the integration of spirituality in the workplace. Her work has been published in various journals including Journal of Management, Spirituality and Religion; International Journal of Qualitative Studies in Education; Journal of Business Communication and Journal of Educational Administration, among others. She is author of Women’s Spiritual Leadership in Africa (SUNY, 2010) and co-author of Collaborative Autoethnography (Left Coast Press, 2013). She is co-editor of two books: Women as Global Leaders and Women and Leadership around the World both published by IAP. Faith is co-editor of two book series: Woman and Leadership: Theory, Research and Practice (Information Age Publishing) and Palgrave Studies in African Leadership (Palgrave McMillan). She earned a doctorate in leadership studies from Bowling Green State University. Dr. Roxanne Zolin, Communications and Website Coordinator, Adjunct Professor, Nobel International Business School, Ghana. Dr Roxanne Zolin has made significant contributions to industry, academia and communities and across international borders. She has won numerous awards and grants and attended prestigious conferences, such as the Babson College Entrepreneurship Research Conference, Academy of Management, and British Academy of Management. She has published over 45 papers and chapters, including seven in high ranking journals. Roxanne completed her doctorate at Stanford, where she also holds a Masters in Sociology. In addition, Roxanne has a Master of Business (Marketing) from Monash University, Melbourne, and a Bachelor of Business (Management) from Queensland Institute of Technology. Roxanne's research focuses on the entrepreneurial success of Women, Migrant, and Senior Entrepreneurs, developing nations and project teams. Since 2010, Roxanne has been a highly active promoting and teaching entrepreneurship in developing African Nations, such as the Congo, Mozambiue and Kenya. She has developed programs committed to addressing the inadvertent cycles of poverty and dependence caused by the financial remittances sent by the majority of expatriate Africans to their families and communities. Dr. Dorothy Mpabanga is Associate Professor and Director of the Center of Specialization in Public Administration and Management (CESPAM) in the department of Political and Administrative Studies, faculty of Social Sciences at the University of Botswana. CESPAM is a South African Development Community (SADC) center that was established in 2001 and is responsible for capacity building of leaders and managers in the SADC region and Africa in general. CESPAM initiates, designs and delivers short-term executive courses in various thematic areas including governance, ethics and accountability in financial administration, public-private-partnerships, public sector reforms, SHRM and diversity management. CESPAM has established partnerships with various national, regional, continental and international institutions including the Commonwealth Secretariat in London, the Commonwealth Association of Public Administration and Management (CAPAM) in Toronto, AFAM, the African Association of Public Administration and Management (AAPAM) in Kenya, and universities such as the Schulich Business School in Toronto to promote research and capacity building. Dr Mpabanga teaches at undergraduate and graduate levels, including human resource management, human resource development, public sector reforms, organizational theory and research in public policy. Dorothy posses a vast industry experience for instance she has 11 years in government as Senior Industrial Officer (Project Analyst) and 3 years at the Central Bank of Botswana as an Economist. Dorothy’s research focuses on public sector management and reforms, human resource management, human resource development, diversity management, project implementation, Monitoring & Evaluation (M&E), NGO management, Higher Education Management, ICT, Women in leadership and politics, governance and democracy. Mpabanga has publications in various book chapters and journal articles including in the Routledge Studies in International Business and World Economy, the Routledge Companion to International Management Education, the Public Sector Innovation Journal, Journal for Public & Non-Profit Services, the African Studies Journal, Pula Botswana Journal of African Studies, African Journal of Public Administration, and the African Public Service Delivery and Performance Review. Mpabanga has attended many conferences including the American Academy of Management, British Academy of Management, European Academy of Management, African Association of Public Administration and Management, the International Leadership Association (ILA), the Performance Management Association (PMA) and the Center for Business Performance, Cranfield School of Management and the International Research Society for Public Management (IRSPM) United Kingdom. 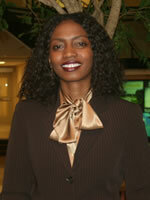 She is affiliated to associations such as ILA and the Society for Human Resource Management (SHRM). Mpabanga obtained her PhD (HRM) from the University of Strathclyde, Scotland, MSc (National Development and Project Planning and Appraisal) from the University of Bradford and BA in Public Administration and Sociology from the University Botswana. Dr. Abeba Beyene Mengistu is an Assistant Professor of Management at Addis Ababa University, College of Business and Economics, School of Commerce. Her research interests are mainly on work-life balance, leadership, job satisfaction, employee turnover, organizational commitment, employee engagement, and other organizational behavior and human resources issues. She has publications on Journal of International Women’s Studies (JIWS), LEAD Publications (Leadership in Ethiopia), and The SABPP Women’s Report 2012. She presented conference papers at almost all of The Africa Academy of Management Conferences, AOM-AFAM 2013 Conference held in Johannesburg, and Work Family Researchers’ Network (WFRN) conference. She has reviewed for the Equality, diversity and inclusion: An international journal. She is an AFAM Scholar of 2011 and had an opportunity to present her paper in the Africa Academy of Management Inaugural Conference held in San Antonio, Texas. She was also sponsored to attend the 2011 Academy of Management Conference. She co-organized the 4th Biennial AFAM Conference held in January 2018 hosted by the Addis Ababa University School of Commerce, the institution where she has been heading. Elham Metwally is an adjunct Assistant Professor in the School of Business at the American University in Cairo, and had several years of teaching experience at the School of Global Affairs and Public Policy. She also teaches in the Management Department at Misr International University in Egypt. She is a graduate of the American University in Cairo with a Bachelor of Arts Degree in Economics and Psychology, and a Master Degree in Business Administration. She is a graduate of Maastricht School of Management, the Netherlands with a Doctorate of Business Administration Degree. She worked for a dozen of years in the in the realm of banking, namely in the Hong Kong and Shanghai Banking Corporation (HSBC). Then she took a position as an Assistant Director, and later Director of Scholarships at the American University in Cairo. She is a Founding Executive of the Africa Academy of Management, http://www.africa-aom.org/, a member of the Academy of Management in USA, the European Academy of Management (EURAM), the European Institute for Advanced Studies in Management (EIASM), the Middle East Council for Small Business & Entrepreneurship (MCSBE), an Holland Alumni Network in the Netherlands Organization for International Cooperation in Higher Education (NUFFIC). 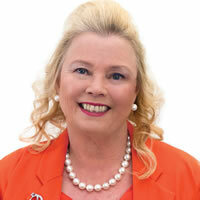 She has several scholarly publications and her research and teaching interests include strategic management, organizational behavior, human resources management, organizational development, banking, and entrepreneurship and small businesses. THE NAME OF THE Group shall be “The Africa Academy of Management (AFAM)”. The Africa Academy of Management (AFAM) is a professional group whose members are bona fide members of The Academy of Management. The primary purpose is the development and improvement of member's capabilities for research and teaching of management in organizations in Africa. The secondary purpose is promotion of and advancing Management in Africa. AFAM provides an outlet for scholarly work on Management in African organizations. Foster the general advancement of knowledge and scholarship in the theory and practice of management among African scholars and/or academics interested in management and organization issues in Africa. Africa is defined broadly to include all of Africa and individuals of African descent in the Diaspora (i.e., The Carribean, South America, Europe, Asia, Oceania, Middle East, and North America). Perform and support educational activities that contribute to intellectual and operational leadership in the field of management within the African context. Candidates shall be interested in and engaged in the theory, philosophy and practice of management through teaching, research, publication or practice. Others who have made contributions to management practice or theory or who are directly interested in management. Payment of membership dues annually to AFAM. Membership in AFAM requires concurrent membership in the Academy of Management. Membership in AFAM is available to all individuals meeting above criteria regardless of race, ethnicity, nationality, gender, language and religious or political beliefs. Chair the Executive Committee meetings. Be the Chief Executive Officer for the organization, and be fully informed of all activities occurring within the organization. The Constitution, Bylaws, and professional policies of the Academy of Management. The concurrence of the Executive Committee in matters of policy. Preside at all meetings of the organization, but may delegate this responsibility to the Secretary at his/her discretion. Present a report on the status and progress of the organization at its annual business meeting. Serve as Immediate Past President Chair and active member of the Executive Committee for one year following their term as organization’s President. Keep the minutes of all business meetings of AFAM and keep minutes of all Executive Committee and Annual AFAM meetings. Perform such other duties as may pertain to the office. Develop and maintain the web page of AFAM. Conduct surveys of AFAM members as needed. The Treasurer shall be an administrative person who is responsible to keep the financial records of AFAM. She/he shall be responsible for the funds of AFAM, issuance of checks (along with the President, constituting two signatories) issue checks, keep complete and accurate books of accounts showing all receipts and disbursements, and develop a financial report at the Annual Meeting. Act as Program Coordinators at the annual meeting of AFAM. In this capacity, the Program coordinator will have responsibility for designing and organizing the program aspects of the annual meeting. Attention should be given to professional development activities as well. This may consist of paper presentations and other relevant sessions that promote the objectives of interrogating, expanding and disseminating scholarship and research about management in Africa. In the developing the program, the coordinator(s) should work closely with the Academy of Management (where necessary) as well as seeking other possible collaborations. Perform such other duties as may be assigned by the President or Executive Committee of the Africa Academy of Management. Serve on the Executive Committee. Act as Program Chair at the annual meeting. In this capacity, the Program Chair shall receive all program submissions and prepare them for the blind review process in compliance with the Academy of Management Guidelines. Working with a committee if need be. Any other role that may be assigned by the President. Represent the region to which he/she is assigned. Have a tenure of two (2) years. Be responsible for promoting AFAM to interested individuals in their representative regions. Work closely with the External liaison Coordinators in matters involving External agencies in their region. Members shall be elected to regional representatives before being elected to Membership Coordinator, External Liaison Coordinator, Funding Coordinator, Program Coordinator, Treasurer, Secretary, President, and Ex-Officio President. It is expected that each executive will build upon the outcomes of the past executive in that leadership function. With the exception of Regional Representatives, each officer shall have tenure of three (3) years. The tenure of the regional representatives shall be limited to five years. Support scholars and students of AFAM to attend AFAM or AOM meetings to present papers or participate in Professional Development Workshops and caucuses. Entertain (e.g., reception dinners, luncheons, or brunches) members during AFAM activities and conferences. Organizing the operational aspects of the annual conference. Normally this committee will be composed of faculty members and/or employees of the host institution. Establishing linkages and sponsoring joint activities with other groups. These groups may include the divisions of the academy (such as Personnel and Human Resources, International Management, Business Policy and Strategy, etc. ), affiliates of the academy (such as the Asian Academy of Management, the Western Academy of Management, the Southern Academy of Management, Ibero-American Academy of Management, etc. ), or external associations that share common interests (such as International Academy of African Business and Development, Leadership and Management Studies of Sub-Saharan Africa). Working closely with the liaison officers to establish links, if need be, with external groups. This committee will be composed of at least three members. Promoting and recognizing scholarship among African management academics. This committee will propose awards (such as "best article" award, "career achievement" award, and the like) to the Executive Committee for approval. Developing selection and evaluation procedures of candidates and making recommendations to the Executive Committee as to who should receive an award. This committee will be composed of at least five members. During the inaugural period August 2009-August 2010 members meeting at the annual caucus in Chicago, Illinois, shall elect, by majority vote rule, the following executives: President, Program Officer, Secretary, and regional representatives who will establish an initial structure to AFAM and to commence working toward the achievement of the Group’s ultimate objective - affiliation with the Academy of Management. Officers shall be elected by simple majority. Local Arrangement Committee Renewed at the completion of each conference to be held every other year. Liaison Committee Tenure shall be for four (4) years. Business meetings of the AFAM shall be conducted in accordance with Robert's Rules of Order. The assets of AFAM are irrevocably dedicated to professional, educational and scientific and/or charitable purposes. In the event of liquidation, dissolution, or the revocation of its charter or abandonment of its stated purposes, after providing for the payment of debts and obligations of the corporation, the remaining assets will not inure to the benefit of any private person or persons, but all such remaining assets will be distributed to a nonprofit professional educational and scientific organization, or to nonprofit professional educational and scientific organizations, which are organized and operated exclusively for professional educational and scientific, and/or charitable purposes which are exempt under Section (501)(c)(3) of the Internal Revenue Code, under which section the organization or organizations shall have established tax exempt status. The provisions of the document shall become effective upon adoption of the document by 2/3 of the members of the Executive Committee and subject to approval by AFAM Members.